When you're huddled around the couch watching the big game on TV, the last thing you want is to leave the action and scrounge up some party foods. With these winning gameday recipes at the ready, you can share delicious finger foods and the love for your team. You don't need a fork and knife to enjoy a filling snack inspired by the flavors of the Southwest. 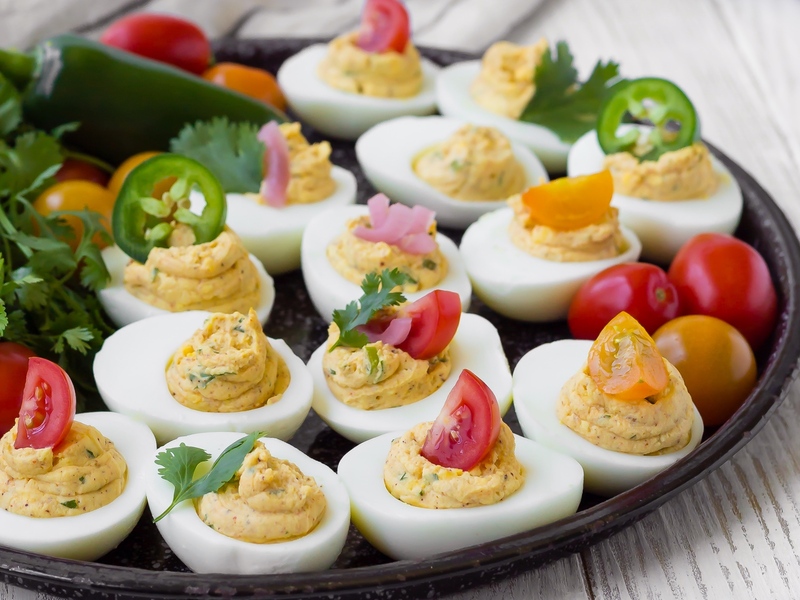 A platter of these tacos-turned-deviled-eggs in your gameday spread is guaranteed to kick off the excitement and cheering. 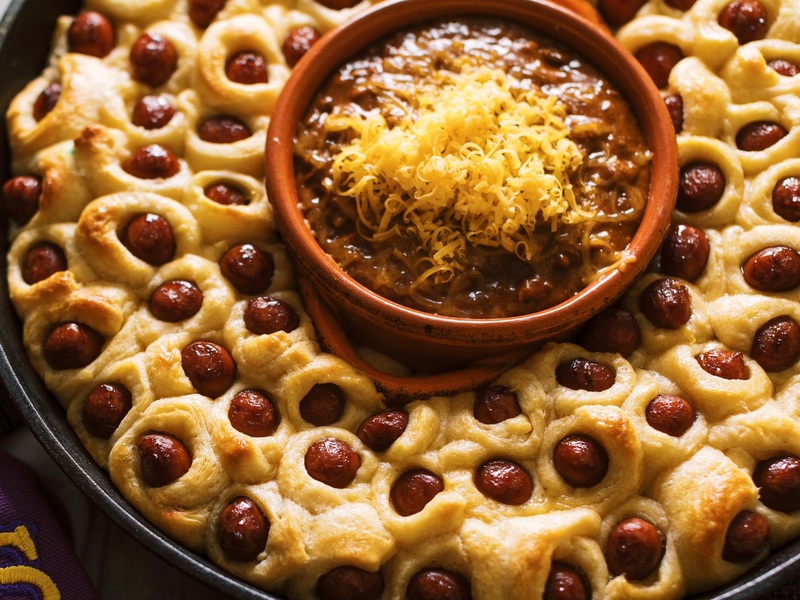 Pigs in a blanket is already the most adorable dish out there, so nestling dough-wrapped little smokies into a pull-apart ring really takes it over the top. Serve with big bowl of chili in the center for a game-changing snack. 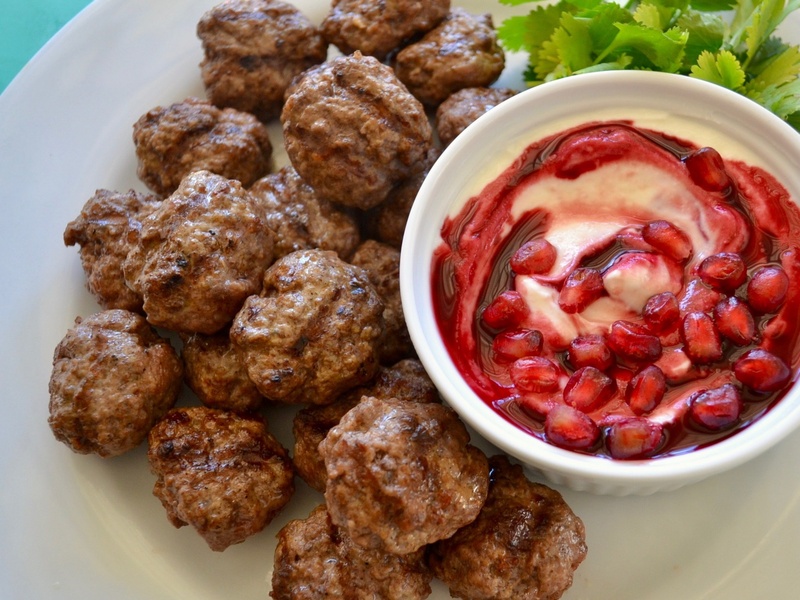 When it comes to gameday snacks, our best advice is to take risks and go long: swap the chips and dip out for these Mediterranean-spiced meatballs with a side of tart pomegranate yogurt dip. Everyone including the kids will be dipping away in no time. Pie that you can hold while you take victory laps around the couch? Major touchdown. 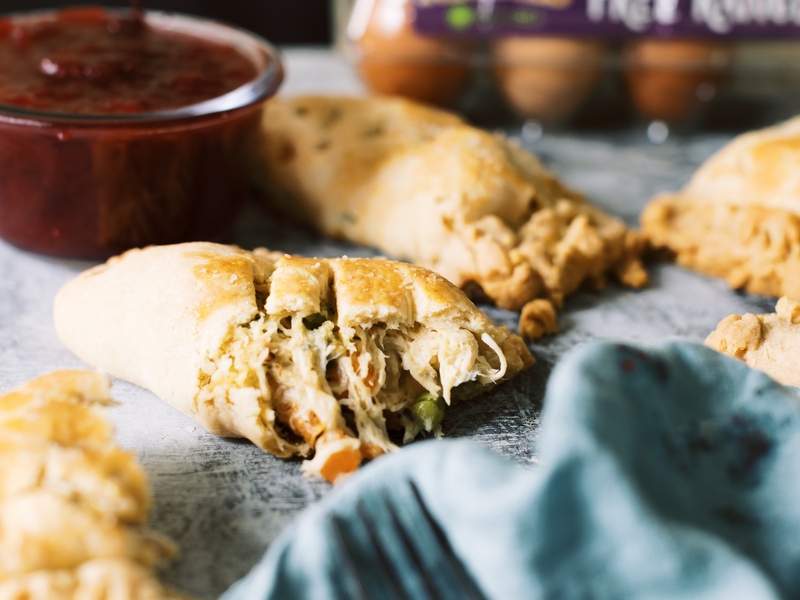 Make last night's leftovers do the work for you (these hand pies need just 20 minutes in the oven!) so you can spend more time rooting for your team. It's always a good idea to have something a little bit spicy and sour for those game-watchers who like to walk on the wild side. 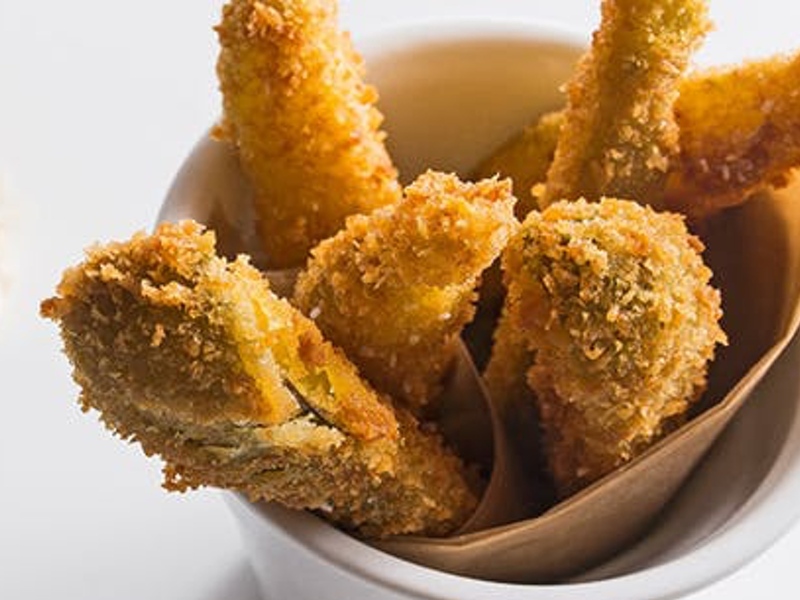 The side of cayenne-spiked mayo makes these fried pickles a whole different ballgame. Dinner, but breakfast-ified...turned gameday snack? 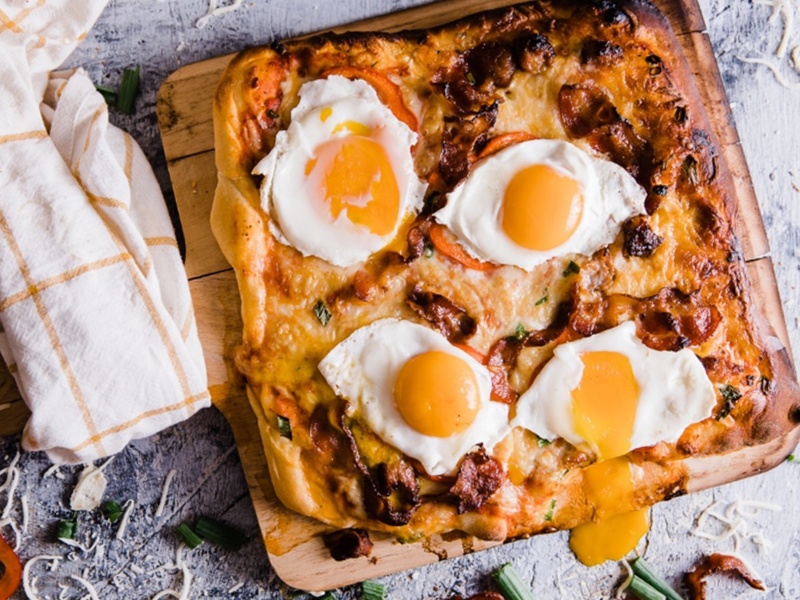 It sounds confusing, but once you score a few slices of this pizza topped with runny sunny-side up eggs, it'll all make sense. A commercial break is an opportunity for mind wandering. You might find yourself thinking, is it even possible to improve on nachos? 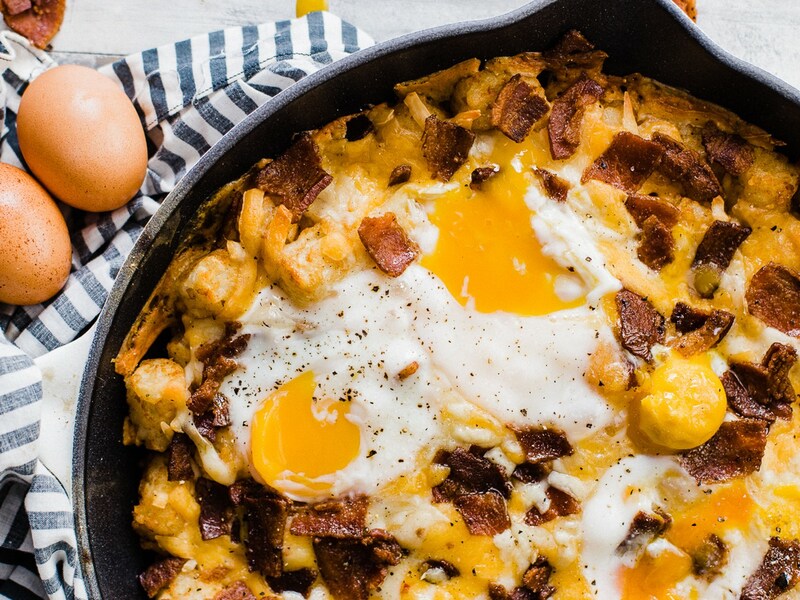 We'll let this tater tot skillet full of bacon, eggs, and cheese answer that question for you.